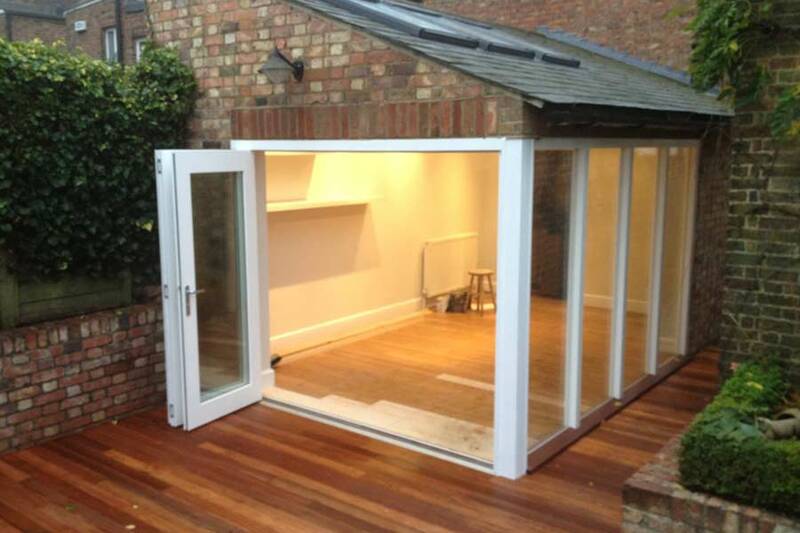 A garden room can be a practical alternative to building an extension to your house. It can add a new living space to your home and it can be used for a wide range of alternative purposes. Often a garden room is a practical solution when other forms of extension are not possible, for instance if your house is terraced or a listed building. Creating a garden room is the least disruptive way to add extra space to your home. It could be a completely separate building from your house or it could be attached to it. At Total Extensions we have build garden rooms in Chislehusrt, Kent and Sussex for many different uses. Typical uses for garden rooms are as a home office, a hobby room, a painting and sculpting studio, a place where teenage children can do their homework and have their friends for sleepovers, a home cinema, a pool room and bar, a relaxation and games room for the family, or even a granny flat or annex. It is important to create a garden room that blends in with the rest of your home. You certainly don’t want to create one that clashes or is an eyesore. It is very important to choose the right builder and designer to ensure that your garden room looks professionally constructed and is in keeping with your house and surroundings. For instance, if you have an older traditional house you could choose a garden room that reiterates a traditional cosy feeling with similar windows and furnishing styles. If your house is modern then you might be better choosing a contemporary garden room, for instance with large windows and French doors with contemporary furnishings. It is important to ensure that your garden room is environmentally efficient. Whether your garden room is constructed using masonry, wood or aluminium, it should be properly constructed using the right materials and properly insulated to minimise your heating bills. It should also be built to last and to stay looking good for many years to come. This is one of the reasons why you should choose a builder with experience in designing and building quality garden rooms that will add real value to your home. While permitted development includes incidental structures such as summerhouses and sheds, it might be necessary to get planning permission for a garden room, and it depends to some extent on how the building will be used. If it is used as an office, a study, a games room or similar, then you are unlikely to need planning permission, but it is important to check this first, and we are able to advise you on this. However it is being used for a granny annex or for anybody to sleep in then you will certainly need planning permission; again we are able to undertake this on your behalf. 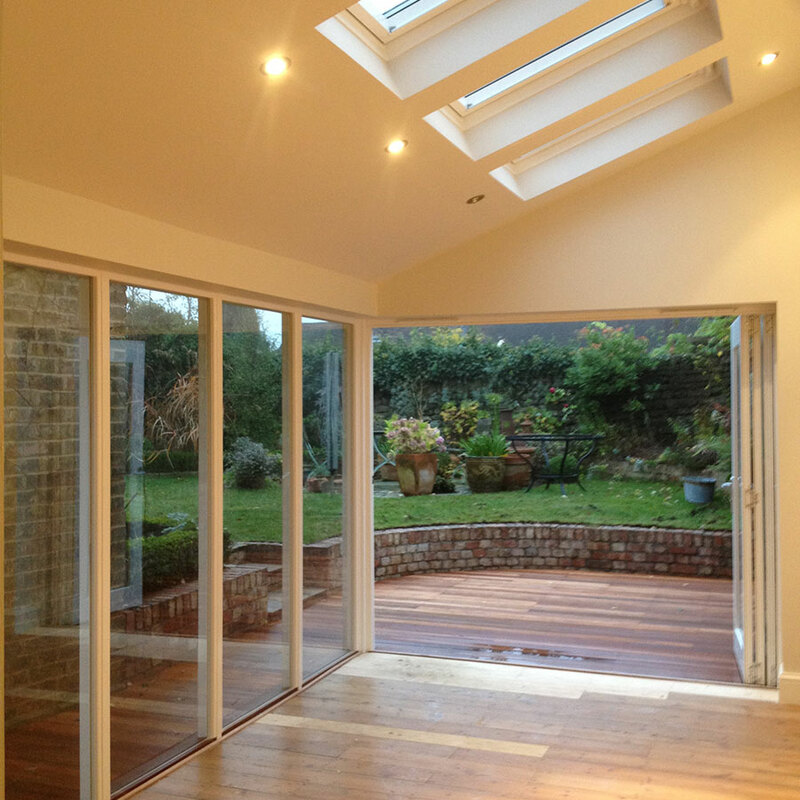 A garden room is often the best way of adding space to your home.